The Great Depression was an era in American History that people who lived through it would remember indefinitely. They remember how hard the times were, the poverty most people suffered, and just life in general at the time. For most people who remember living through this time, the lessons stuck with them for the rest of their life. For those who experienced the worst of The Great Depression, they never forgot. They do not or did not like talking about life during that time, but the lessons they learned were life-changing. Most people now would not necessarily notice the impact made until they looked closer at these people. They do not throw out anything. The only things in their garbage (scrap) pails were items that could not possibly use anymore, be fed to animals, or composted. They were on board with recycling before recycling was the cool thing to do. Their homes will appear very neat and tidy, but their closets are packed full of items they could not part with including old clothes, newspapers, fabric, boxes, baskets, jars, string and twine, rubber bands, twist ties, plastic bags, and more. During the Great Depression, you would never know if and when you might need something to repair or fix another item. They were basically hoarders because they had to be, but you would have never known it by looking at their homes. Now that the minimalist movement is in full swing, some people look down their noses at these older people who lived through the Depression. However, we must realize that they did not have the possessions then we have now. They just didn't have the pure junk and cheaply made goods we have now. They were minimalists in their own way because they did not have the money or the means to have more possessions. They just refused to throw out anything that could be used again. Notice how most older people do not buy new clothes unless they have to? Their shoes are usually repaired, worn until they fall apart, and/or are still kept in case they need a pair for the garden or other chores. They probably have a good pair that is kept for special occasions or church, but when that pair is no longer good, they get used for every day. The same goes for coats and more. You will also notice they do not buy trendy clothing items either - most of their items are of good quality that will last years. In this age of disposable clothing, this seems odd, but they probably would see us as wasteful. People during this time lost their fortunes. People also lost their savings as banks closed. While most people who lived during this time continued to save money after the Depression and World War II, many were leery of banks. They would keep cash at home, have accounts at multiple banks, and not have all their eggs in one basket. Most of them would also go on to save a large amount of money because they lived so simply and frugally. They also went on to birth the Baby Boomer generation. They wanted to give their children a better life than what they had. They saved money for their kids to go to college because they wanted their kids to have an education and succeed. They would go on to help their children buy their first farm and possibly their first home. They would invest in their businesses to help them get a start because very few of those that lived during the Depression had that luxury. Many people during the Depression lost their homes and their businesses. They would have to move for jobs and just to find work. People would have to move in with other family members or rent a couple rooms for a roof over their heads. Kids were expected to help out any way they could with the understanding any money they earned would probably go to the family. If they were given payment at all, that money was not spent frivolously. Not to say that the kids were not given a special treat once in a while, but they did not expect this all the time like kids do now. While there has always been poverty in this country, during the Great Depression, poverty was acute and affected nearly everyone in some way. When we think of poor now, we think of either the homeless or just living paycheck to paycheck. However, poverty is the circumstances of being extremely poor. Most people did not have enough money for rent/mortgage payment, food, clothing, and other necessities. Children were sent to live with other relatives or were taken to orphanages because their parents could afford to take care of them. Many adolescents were sent to live at other households as hired girls or men and worked for a roof over their heads and food to eat. People leaned on bartering and trading during this time also. People would help each other bring in the crops, bale hay, tend the sick and the infirmed, do heavy housework, and more. You might have given the neighbor some produce from your garden in exchange for eggs. Like my grandmother, you might have worked as a hired girl so you could stay in town and go to high school. Many people traded and bartered services and goods just to stay alive and stretch their money even more. To do this, you can still see this generation doing this. They also instilled these lessons into their children. People who lived during this time did what they had to do to survive. We all hear stories about the Great Depression that we think we could never do now. However, when you are faced with a choice to survive or not, you would think differently. This time in history is also very romanticized by those who think it will happen again. They want to live like that. Most of them could not do it. 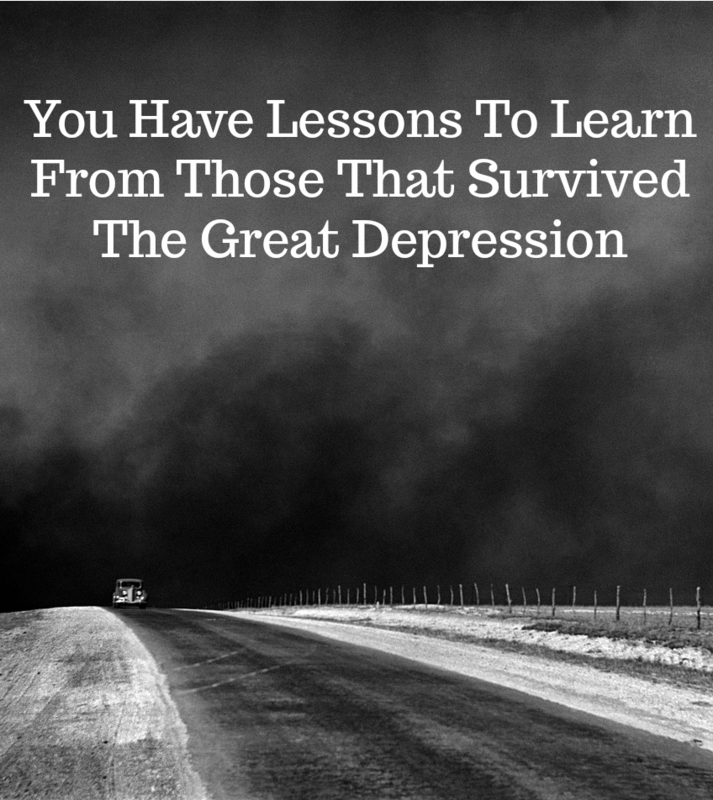 How could you survive another Great Depression? Most of us preppers would like to think we could survive anything, but in reality, the Great Depression lasted until World War II started. For most people, nothing changed when we went to war because of the rationing system and the unavailability of goods. Jobs were on the rise due to wartime production, but the money still barely covered the necessities. 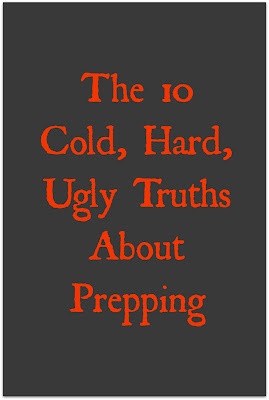 There is not really any way to be reasonably prepared for ten years or longer unless you practice self-sufficiency now. What saved many people during the Great Depression was the ability to grow their own food, raise animals for eggs and meat, have large gardens, and preserve as much as they could to get through the winter. They knew how to sew their own clothes, mend almost anything, and think creatively to solve problems or fix anything. Nothing was wasted which is a huge problem nowadays. They made only one trip to town a week for anything that needed to be purchased if they could afford to go. They would have also taken in any extra produce or eggs to the local grocer which he would have paid them for if the quality was right. In short, the skills this generation knew is what saved them. They still have these learned lessons in their memories. You see that most of them still practice what they can, but this generation is dying out quickly. When they are gone, the lessons will be forgotten. If experts are right, we could be headed towards another financial and economic upheaval. We have more people living in this country than ever. While there is a trend towards self-sufficiency right now, most people would be suffering until they could get back on their feet again. I have faith in people helping other people, but the resources might not be there to help everyone. FDR was accused of socialism and more when he rolled out the New Deal to create programs which created jobs to help people get back on their feet again. Now, if that happened, it would be wrapped up in Congress for months. With all the regulations we have now, it may never happen. If you have a chance, please sit down with the generation who lived during this time. Ask them how they or their parents survived the time. You will hear different accounts because their experiences were different. Some people went through this time just fine because they were already used to living the self-sufficient life. Some people had to learn it. Some people lived in abject poverty and were basically homeless. If you can't directly talk to someone who lived during the Depression, read some first-hand accounts. What they had to do to live may surprise you. This weekend has been busy. I am getting ready to post several pictures on Instagram about what I got done this week and I am still struck by how much work gets done around here every weekend. What strikes me, even more, is how much work there is to do everyday and weekend. I choose this life. I wasn't delusional about what it would entail. Being a prepper is work. Being a homesteader is work. Being self-reliant is work. Being frugal is more work. All four of those together means the work never lets up. I know people who can't handle it and I don't blame them. There are days I can barely handle it. Some of you probably think that all I do is run a blog and hang out here at home. That couldn't be further from the truth. I work as an office manager Monday through Friday, 7:30 am - 4:30 pm. I run an eBay store that I have been adding more and more inventory too. 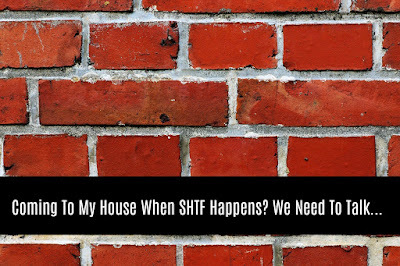 I have two very active teenagers at home and two young adults who live with their husband or boyfriend. I have two grandchildren. And I blog and write for other sites. I am not asking or seeking sympathy. Like I said before, I choose this life. What gets me though is the people who think this kind of life is cute or kitschy. What we do to thrive or survive is trendy. 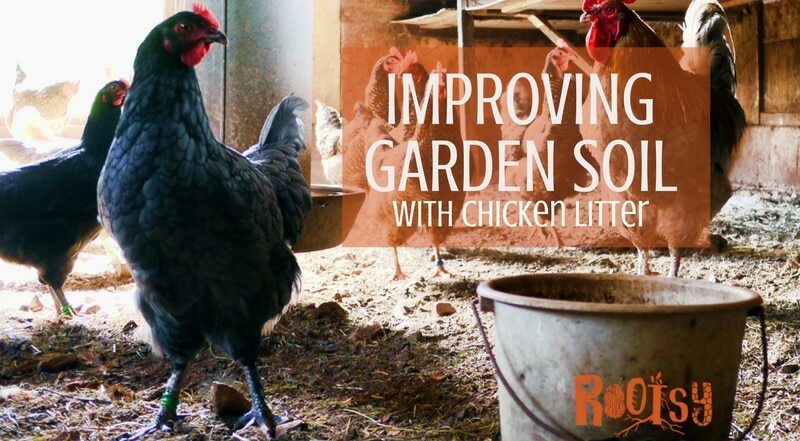 Like raising chickens is adorable. Like raising a garden is so good for my health and the environment. Like everything I do to save money in a day is so consumer conscious. Spare me the trendy terms and the idealistic attitude. That is not why I do it. I raise my own food because, quite frankly, I save myself a lot of money and I know where some of my food comes from. I enjoy raising my own food, but some days it is a lot of work. The weeding never ends. Sometimes I have more food to preserve than I have time to do. There are times I take a vacation day or two from work just to can tomatoes. 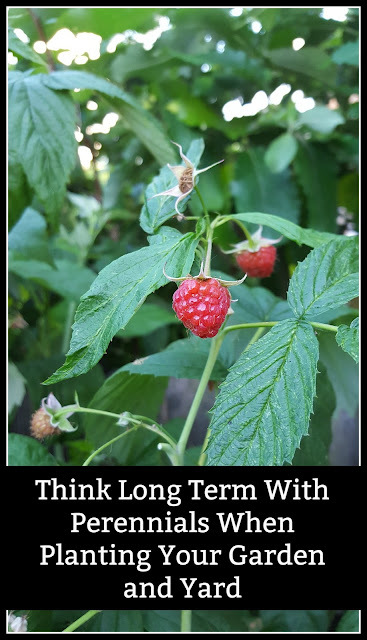 I get frustrated because my chickens and the other wildlife ate my berries before I got to pick them. I wish the chickens would figure out that I really don't want them on the front porch. I raise my own laying chickens because the eggs are really that much better than store-bought eggs. They help fertilize the yard which means I (meaning mostly the teenagers) get to mow more often. They like to eat bugs which is why they get to free range. Besides that, free-ranging chickens eat less feed which means I save money and get better tasting eggs. However, reference the front porch comment and berry comment again. I prepare because I truly believe everyone should. I think you should be prepared because that is the responsible thing to do. I prepare because I don't want to be in a situation of begging for handouts if I can help it. I want to have plenty of food and water on hand so my kids do not go thirsty or hungry. 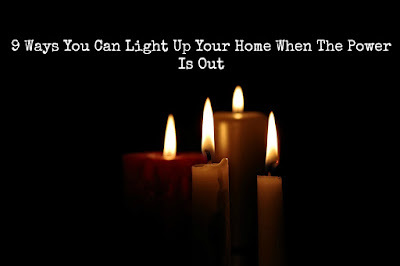 I want to be able to survive a power outage and more. I want to be prepared for natural disasters and economic downturns. However, preparedness can be work. I garden and raise my own food in order to be better prepared and less reliant on the system. I can and preserve to have more food on hand. I buy the supplies and learn the skills so I know how to take care of my family and myself. I can and preserve my own food because, again, I like knowing where my food comes and I take a great satisfaction in knowing I produce it. I like being less reliant on a food system that takes pleasure in hiding chemicals and harmful additives to food. 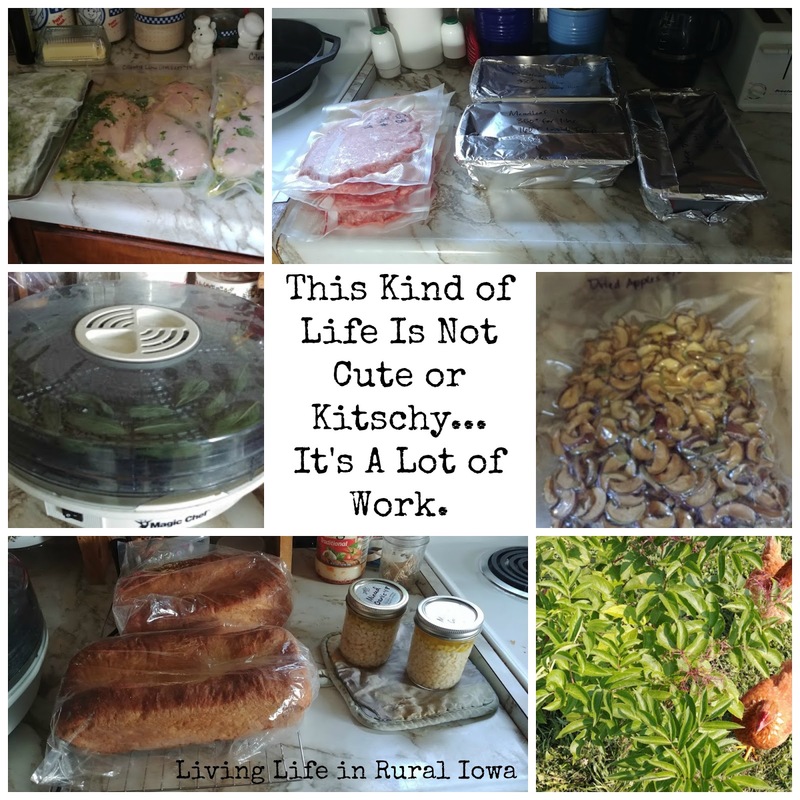 I make a lot of my own food and make a lot of food from scratch because I know what is in the food. I have a daughter who is lactose-intolerant and there is a lot of dairy hidden in food using names that I cannot pronounce and are not even natural. By preserving our own food, we can all be healthier and more conscious of what is in our food. I like saving money and making money. I will not even be ashamed of either of those things. I am a borderline workaholic which makes this life even remotely possible. I juggle a lot of balls every day. I think a lot of people who are in my shoes would say that. There is a lot of people who do this without an outside income to rely on. There is a lot of people who barely scrape by every day and would think I am wasteful when I have a lot of weeks where I barely scrape by. There is a lot of people who live this life and do not think this life is cute or kitschy either. I hear a lot of people who "crave" the simple life. I might have that phrase in my byline, but I would not be sure that I could accurately say that I live it either. Simple is not running from one place to another and trying to get more accomplished in a day than there are hours in a day. Simple is not trying to balance kids with work, with home life, with keeping a house, with keeping animals, and with trying to raise my own food. Some of that is simple, but not all combined together. While most people live in the rat race, chasing the "American Dream", and being in debt to their ears, this life I live is not always simple. It just looks better than those people. Again, I choose this life and everything in it. If you wish you could do all the things I do, then do more than wish for it. That is what I did. Wishing does not make things happen. Wishing does not do anything, but make you keep wishing. 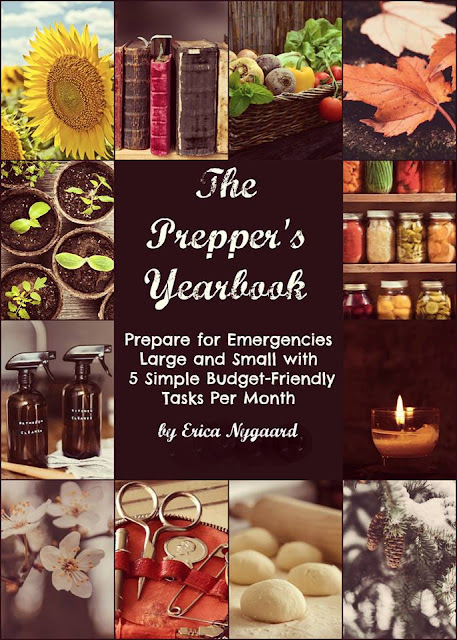 If you want to be a homesteader or a prepper, then do what you can to make that happen. Just be aware that this life is a lot of work, but the results are rewarding. I won't delude you either. I would not be where I am at without some help. I have a guy in my life who does what he can every day to get stuff done. My kids do chores, clean the chicken coop, and mow. I live on an acreage rent-free, but I pay all the bills except property taxes and pay for almost all of the upkeep. I have a lot of people who support me and live this life as well so they can commiserate with me. I do get out of the house and have fun periodically because I need to relax. Another thing about this life - it comes with great disappointment sometimes. Your garden doesn't turn out well or your cucumber plants become victims of the wildlife. Your entire flock of laying hens is killed by a mink. Your only vehicle has to go into the shop for very expensive repairs. Your kids or you become ill resulting in unexpected medical bills. You lose your job and have to rely on your food storage to get you through. This life is a learning experience. You will witness some great miracles and some devastating losses. You will feel as though you are walking alone in it or, worse yet, feeling like you let your loved ones down. You will feel a great joy every time you bring home a flock of baby chickens or watch a calf or a piglet being born. You will go to bed bone tired but satisfied that you put in a full day's worth of work. You will be awake at night wondering how you are going to fix a car or a tractor or how you are going to pay that bill. You will watch your kids grow up learning these skills and you will know that they will be able to survive on their own. Does this life get any easier? Yes and no. Yes, because you learn what to do, you learn skills, and you start to have systems in place. No, because you will always have more work than time, you will be short of money when you need it most, and you will be thrown curveballs when you never expected them. Like I said before, I choose this life. I want this life. I want more for myself and my family. I can't see the appeal of a consumer-driven life with keeping up appearances and being in debt. I truly think everyone should live the life I am living. Honest labor never hurt anyone and you become more appreciative of what you have. However, it is not cute or kitschy. It is not trendy. It is and always will be a lot of work. Learning how to maintain and perform simple repairs is a critical skill to learn. Most people at this time do not know how to do this. Unless you take a shop class in a high school geared towards vehicle care and repair, it is not a skill that is taught. Fathers used to teach it to their sons and daughters in order for them to know what to do, but that is becoming a lost skill too. Now, you need to teach yourselves. Lucky for us, there is a plethora of videos and websites that show us how to do this. 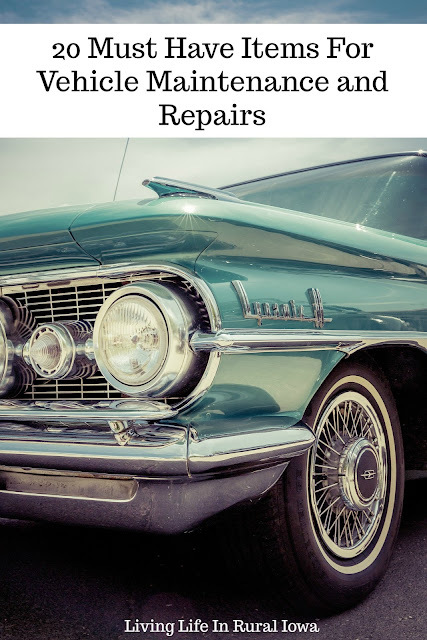 If you are fortunate enough to find someone who knows how to maintain and repair a vehicle, please ask them to teach you. While I used to be able to do a lot of my own repairs and maintenance, I find that my skills are getting rusty. I need to learn how to do this again too. Some of you have new or newer vehicles that you may not be able to work on due to the computer or how much has changed in cars and trucks. I would look for a Haynes Repair Manual specific to your vehicle. I would recommend you pick one up no matter what year your vehicle is. However, newer vehicles can be difficult to repair, but you should still learn to maintain them to the best of your abilities. 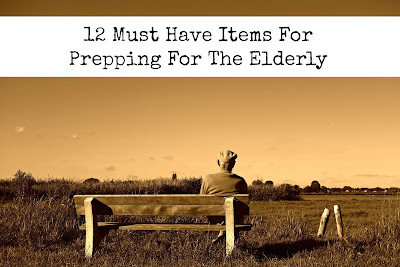 This list of must-have items can look different for everyone. It can be difficult to have and keep all these things, but I have learned from others that they are very important to have on hand. Once you acquire these things, please learn how to use them. They can save you a lot of money in labor costs from the mechanic. You may also need to repair your car on the road and will need to know how to use these things. Another thing I would recommend getting is a Vehicle Emergency Kit. If you are broken down on the side of the road, these kits can be invaluable. There are two different kinds of kits - one is for roadside emergencies and the other is for when you are stuck in your vehicle. Both are good things to have in your vehicle. What else would you add to the list? What items do you find crucial to have for your vehicles? One of those basic skills everyone should know how to do is to sew and mend their own clothes. It is still a skill I am learning, but one that I feel strongly about improving when I can. We have saved a lot of shirts by sewing the seams back up so my kids could wear them again. I have sown more buttons on than I care to think about. However, those small little kits sold in the stores are good in a pinch, they will not cut for most sewing and mending. You need better kits than that! Since I still have the basic sewing kit that my mother put together when I got married, I thought I would ask her what should be in a sewing and mending kit! She has been sewing her own clothes, sewing items for other people, altering clothes, and mending clothes most of her life. She has altered prom dresses, made doll and Barbie clothes, and still does some of my hemmings! She has got experience! I asked her what she would have in a sewing kit and a mending kit and what she couldn't live without. To her, these kits would probably be one and the same. You will notice some crossover between the two kits. I asked her what she would have if she had to be off-grid also. As you can see, she would use a lot of hand sewing and mending. There is nothing on this list that couldn't be done by hand. While sewing by hand is a great skill, most people would still like to have a sewing machine. Learning to use a sewing machine is a great skill to learn. I asked her about sewing machines in an off-grid or no power situation. If you are interested in an off-grid sewing machine, you need to find a treadle-powered sewing machine (using foot-powered pedal). Lehman's carries one that is a treadle powered modern sewing machine. (not an affiliate link) Most modern electric sewing machines cannot be converted to treadle power. Older sewing machines may be able to be converted to treadle power, but you will need to check on that. 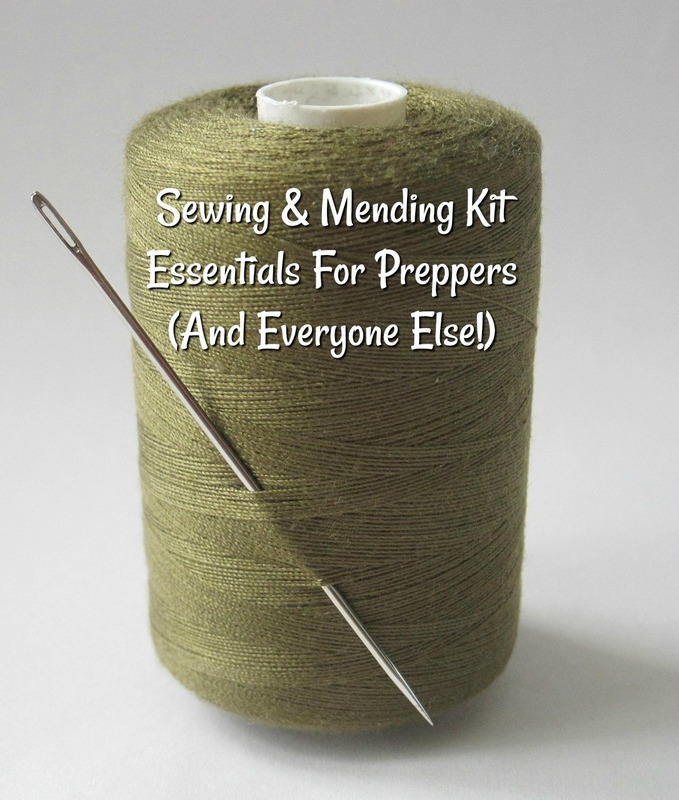 If you have these sewing and mending kits already, I would check them over for anything you might have missed or have used up. If you do not have anything for these kits, I would start at the top of these lists, find a good container to hold the items, and start buying! Everyone should have a good selection of tools on hand to be able to fix almost anything. Whether you are a prepper or a homesteader, you will rely on these tools to build and fix most things. If you are into frugal living, you want these tools to help you extend the life of your items and be able to fix them. This is a basic list that we came up with. These are the tools we cannot live without because we use them so much. You will see them in our house and shop toolboxes. Yes, that's right. We have two separate tool boxes and we keep multiples of these tools. That is how important they are to us! 1. Hammer for pounding nails, removing nails, to pry things apart, and to "gently" coax something in or out of place. 2. Set of screwdrivers - Phillips and standard to loosen or unloosen screws. 3. Socket Set - standard and metric sockets for working on household projects and vehicle maintenance. 4. Wrenches - standard and metric. Also, a set of crescent (adjustable) wrenches for working on household projects and vehicle maintenance. 5. Pliers - regular, needle nose, and side cutters for holding things in place while you work on them, for twisting things into or out of place, and to cut wires or zip ties. 6. Visegrips (locking) pliers for clamping things in place or to get a better grip to loosen up items that seem to be stuck. 7. Hand Saw for cutting boards. A Hack Saw is also very handy to have to cut styrofoam, to shorten screws. and to cut some plastics like hose or PVC. 8. Utility Knife for making straight cuts, to cut something off, to scrape away caulk or glue, and can be used in place of scissors. 9. Tape Measure to measure items and rooms as well as where to cut a board. 10. Carpenter L Square for measuring accurate corners for cutting and to make certain your corners/walls are square. 11. Level to make sure you are attaching something to the wall right and level. You also use this for making walls, stairs, and much more to make sure everything is straight. 12.Carpenters Pencil and/or a Permanent Marker for making the mark to know where to attach something or screw something in as well as knowing where to cut. You need to get yourself a good toolbox to store these in. The number of tools may be too much to store in a portable toolbox, but these standalone toolboxes are great for storage and organization. We know some of you will argue that if the grid goes down, you will need more including a hand drill. We get it. 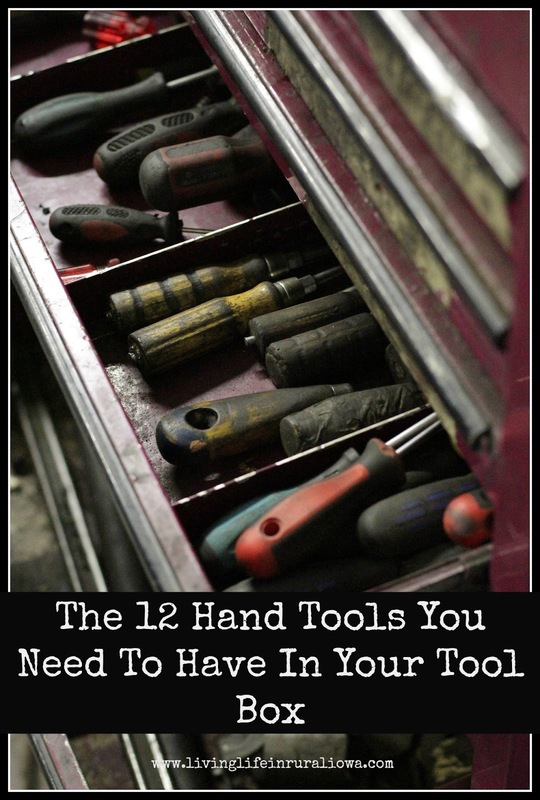 However, this is a basic 'everyone should have these tools' kind of list. 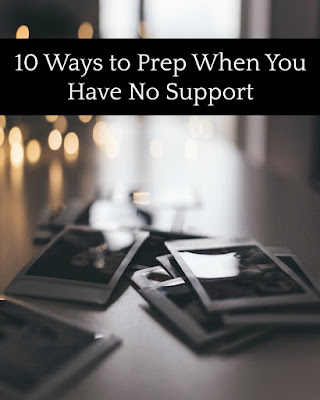 You should have these tools on hand whether you live in a van, apartment, or house, single or married, college student or older, and urban or rural dweller. Fixing your own things will save you so much money. Nowadays, if you don't know how to fix something, there is probably a video online that will teach you! The Family Handyman website is also a great source of do it yourself and fix it yourself information! There are some modern conveniences I would not want to live without: running water and a washing machine for starters. There are some modern conveniences that are not really necessary, but they make life easier. I lived without a microwave for over four months until someone took mercy on my children and bought one. I was fine without it. Another appliance I lived without is a clothes dryer. I lived for over two years without a clothes dryer and I really didn't miss it! The clothes dryer would no longer dry the clothes. I didn't want to hire an appliance repair person to come out to my place. I knew it was a minimum $85 for them to come out, plus parts, and any additional labor. I don't like spending my money like that because sometimes I am cheap (not frugal). I didn't fix the clothes dryer myself because I was slightly baffled by my clothes dryer. I don't always have faith in myself when it comes to fixing things. So I lived without it while having four kids (two in sports and dance) in the house. How? 1. Get yourself a large clothes drying rack. I know this is an investment and I had mine long before my clothes dryer broke. I hang up a lot of clothes anyway to keep clothes lasting longer. I suggest getting a heavy-duty, wooden clothes drying rack. 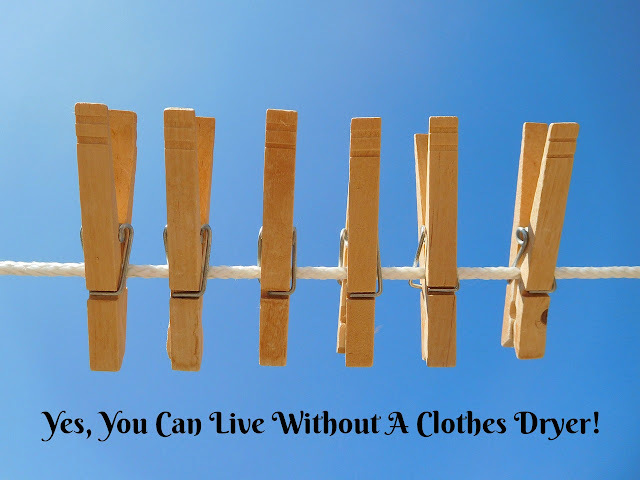 Buying a cheap, small, flimsy clothes drying rack is not going to serve you well. I broke two of them before getting this one. One of these large ones typically holds 1-2 loads of laundry. 2. Find a way to hang clothes outside. You can have a clothesline or an umbrella drying rack. There are so many options for clothesline outside! I have an old-fashioned one that was rebuilt two years. I love it! However, you can get one that pulls out from the house and attaches to a post. You can use a pulley system. Also, invest in some good quality clothespins. 3. Be creative. I strung up lines in my business to hang even more clothes, but I wish I would have known about this pull-out clothesline! I used hangers to hang shirts. I used back of chairs for other items. If you have an outdoor balcony, use that to lay clothes over (clean it first)! 4. Create a system for laundry. I was already in the habit of washing 1-2 loads every day which is perfect for living without a clothes dryer. I could wash and hang a load before I went to work every day or at night before I went to bed. In the summer, hanging clothes outside means they dried very quickly unless the humidity was high. Then I didn't bother. In the winter, clothes dried fairly quickly in the house because the air was dry and sucked away the moisture. Also, I am one of those people who like to wash, dry, and fold the clothes in one day so this system was actually perfect for me. 5. What do you do about crunchy clothes? You can cut back a little on laundry detergent. You do not need as much as the manufacturer says. You can add vinegar to the rinse cycle on the washer to help with this. You can add liquid fabric softener. Or you can just deal with it. Crunchy clothes and towels did not honestly bother me. I would give them a good shake after taking them off the line to loosen them up. In the summer, pick a windy day to hang jeans and towels. They won't be crunchy! After a little over two years, we decided the clothes dryer needed to be fixed for various reasons. I started doing some research on the internet and YouTube. I found out the two biggest reasons my clothes dryer wasn't probably working. I ordered two parts for a grand total of $13.00. One of those parts was a thermal fuse which solved the problem. Crazy, right? Fixing the clothes dryer wasn't bad at all. The worst part was getting the dryer moved away from the wall enough to take the back panel off. While we had it off, we cleaned the dryer and replaced the dryer hose and vent. Still, I enjoyed living without the clothes dryer and never really considered it an inconvenience. The clothes lasted longer, didn't shrink, and didn't fade. The only time I went to the laundromat was when I washed quilts and large comforters. Truth be told, they didn't really fit in my washer or dryer so this was going to happen anyway. What modern convenience could you live without? Without further ado, here are the top ten posts of 2017. You read them. You shared them. This is what you all thought was the best posts! 2. 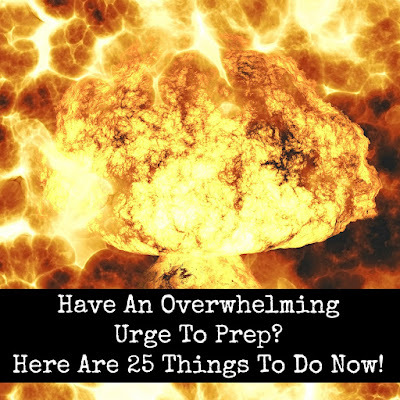 Have An Overwhelming Urge To Prep? Here Are 25 Things To Do Now! 3. 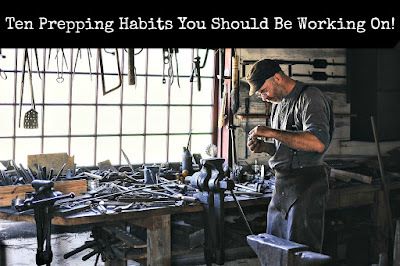 Ten Prepping Habits You Should Be Working On! 4. 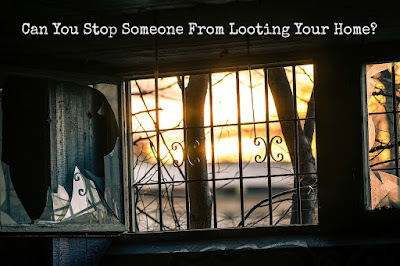 Can You Stop Someone From Looting Your Home? 6. 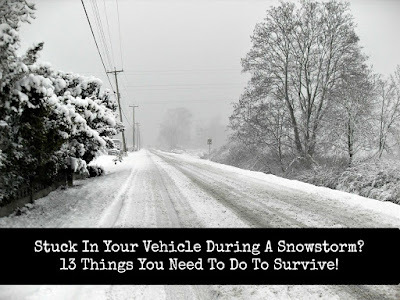 Stuck In Your Vehicle During A Snowstorm? 13 Things You Need To Do To Survive! 8. 12 Reasons Why You Should Be Thrift Shopping! Thank you all for your support this year! Without you reading my posts and sharing them far and wide, I wouldn't be able to this. While everyone should be a frugal lifer, a lot of people struggle to do so. Life happens and you end up spending more money than you want to. You are busy and money just flies out the window. A good deal of living frugally is planning ahead and having goals. What do you want to accomplish financially? In what areas do you want to save money? How can you simplify your life to spend less money? Only you can answer those questions, but let me help you set some frugal living goals for the next year! 1. Learn new things to cook from scratch. You can save so much money on your grocery bill by cooking from scratch. Processed food and eating out is so expensive even with a good deal or a special. Learn to make things from scratch and you will also improve your own health as well. 2. Find new ways to save money. 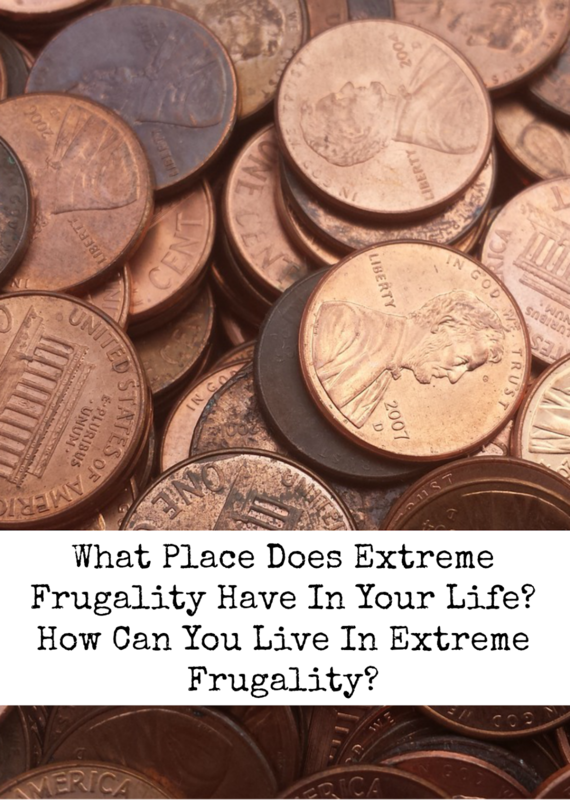 When you are a frugal lifer, this can be hard. You think you already know and have found all the ways to save money, but I can almost guarantee you that you can find more. It can be tough, but I am sure you already know of more ways to save money. 3. Have a no-spend week each month or a no-spend month twice a year. I think these are really healthy for a frugal living lifestyle because they force you to really think about if you need something or you just want it. You also are forced to eat what you have at home, be less wasteful, and make do with what you have. 4. Ask yourself if you really need to buy something. Do you really need it or do you have something that will do? How long can you wait before you buy it? Implement a 3, 7, or 14-day waiting period before buying something other than groceries and household necessities. Sometimes you can find something at home that works just as well or you will find out that you don't really need it. 5. Challenge yourself to buy all your clothes used. You can make exceptions like underwear and socks if you want to, but honestly, I have found those brand new, in package or store tags still on, at the thrift store too. 6. Limit your monetary pleasures. Are you eating out a lot more than once a week or once a month? Are you getting massages, manicures, or pedicures every month? Do you shop just to shop? Do you stop at the convenience store for a candy bar every day? We all have something that we waste money on in the name of treating ourselves. A little pleasure is always a good thing, but is there a way you can do that and not spend money? 7. Do you have an emergency fund? If not, you should start one. Everyone should have an emergency fund of at least $1000 to cover those kinds of expenses. If you have one already, what can you do to double it? Ideally, your emergency fund should be able to cover 3-6 months of your normal income in case you lose your job or get injured for some reason. 8. Are you out of debt? If you are, great! If not, what can you do this year to get out of debt or lessen the burden? Can you cut back on your expenses more to pay down your debt? Can you find other ways to make money to pay down your debt? 9. Organize your things and make an inventory of what you have. Seriously, so much money is wasted because we don't know what we have. We have food in the kitchen and in our pantries that go to waste. We have more things in our closets than we will ever use. We buy batteries because we can't find the package bought a month ago (for example). Take stock of what you have and organize your things. 10. Make a budget or review your budget. This can be the hardest things about being a frugal lifer. I really have trouble sticking to a budget because of unplanned expenses. After something upsets my budget, I lose hope and focus. However, this is the year I need to start. I want you to start your budget too if you don't have one. If you do have one, this is a great time to sit down and review your budget. Are there any increased expenses? Can you save more? Can you pay down more debt? Can you put more in retirement? Work on your budget today! 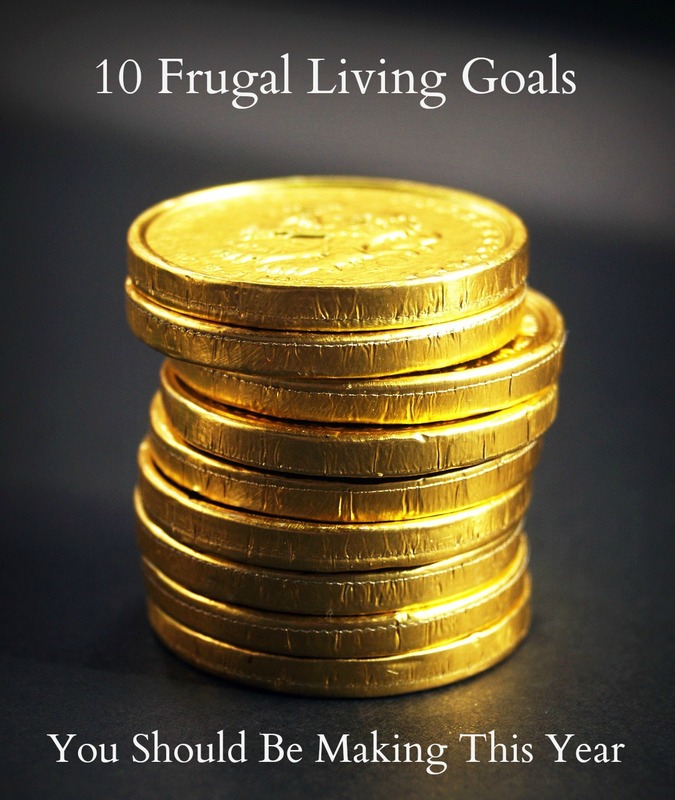 What frugal living goals do you have for this upcoming year? 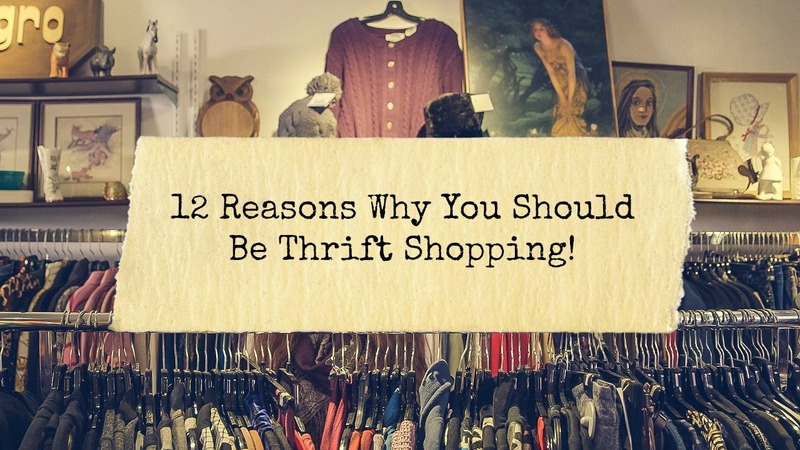 12 Reasons Why You Should Be Thrift Shopping! Long before thrift shopping was cool, I was doing it to stretch my budget and because I just couldn't afford new things. In fact, my parents did the same thing! I grew up on hand-me-downs until I outgrew my cousin's clothes. Almost all my books came from used bookstores and the library. We went to auctions and garage sales. My parents needed to stretch their pennies too! Now thrift shopping is cool. Thrift stores are gaining popularity as are the "for sale" or "garage sale" groups on Facebook. Craigslist is still going strong and eBay is still a great place to unload your used but still in great condition goods. Consignment shops are still a good place to buy and unload your good condition goods (and make a little extra money!). Garage sales are still fun places to shop! I have a lot of fun thrift shopping as long as I don't go overboard. I want you all to be thrift shoppers too. If you are but know someone who should be, show them this post! 1. Thrift shopping is sustainable. If you are even a little bit concerned about our planet, you know there are way too many goods being produced today. More than can be used actually, but people still demand and buy them. By buying used, you are breaking that cycle and keeping perfectly good things from going to the landfill. To keep the sustainability cycle going, you should use those used goods until they are completely worn out or pass them on to someone who can use it. 2. You are a non-consumer. As stated in #1, you are breaking the consumerism cycle. When you purchase something used, you are a non-consumer. You are not buying something new. You are not supporting the mass merchandisers. You are not succumbing to advertising telling you to need something new. You are using what someone doesn't need anymore and you are not supporting people who have no interest in your local economy. 3. Thrift shopping supports your local economy! Whether you buy something from a used goods store or a person, your money stays right in that area. Your money isn't going to some big corporation who cares very little about you. Your money is going to a local organization (except Goodwill) or people who will, in turn, spend that money locally. 4. Why buy new when used will do? This phrase is attributed to a certain person, but honestly, it has been around awhile. Why? Because it is true! Used is just as good as new in most situations. Most of my clothes and my kids' clothes were used growing up. We got new things for gifts on birthdays and holidays, but otherwise, they were used. Even when they were in high school, we regularly found almost new and new clothes for them at the thrift store. I still buy almost all of my clothes used because you can't beat the prices! 5. You save money! Doesn't everyone like to save money? You can outfit an apartment or a house for hundreds of dollars cheaper than buying new. Does buying used things gross you out? Wash them once and get over it. You are saving money! 6. If you have kids, you are teaching them frugality. My kids liked to go to the thrift stores and garage sales growing up. They still do even as teenagers and young adults. They also have found a lot of great things there. They learned one way of being frugal and they learned that used things were not gross. The younger they learn that, the better. 7. You will find brand new things while thrift shopping. Honestly, this is the best. People are often too lazy to return something to the store or cannot return it so they will just donate it to the thrift store or sell on a garage sale. Their loss is your gain because, most of the time, you will get it for only a few dollars. Score! 8. Anyone can thrift shop! And I do mean anyone. Some of the most financially stable people I know are avid used goods shoppers. They love a good deal and refuse to pay full price. Let's take some tips from those people, shall we? 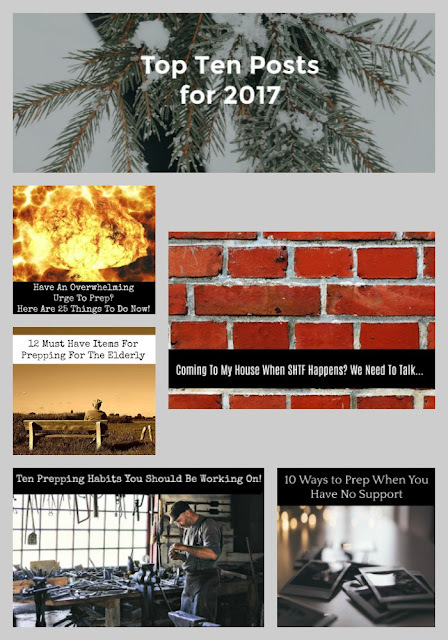 You can be a prepper, homesteader, parent, retiree, single, married, young, old, rich, poor, and anything else you can identify with. Anyone can be a thrift shopper! 9. You can find really good presents while thrift shopping. I have found a lot of presents while thrift shopping. Books that look brand new. Clothes with tags still on them. Sets of dishes still in the original sealed box. Candlesticks and vases because I know people that collect them. You get the hint. Start your gift shopping at the thrift store or online consignment sites and go from there. 10. Once you start, you won't be able to stop. I know that sounds pompous, but it is true. The idea you will be saving money and scoring some really good stuff is addicting. When you realize you can do this all the time, you will be hooked! 11. The inventory is always changing. If you can't find what you are looking for one day, wait a few days and come back to the store/check again online. More than likely, you will find what you want at a price that is reasonable or cheap. 12. Thrift stores have sales too. They get a lot of things donated or consigned to them. They often do not have the storage for these things so they run sales. Our local stores often run a buy 1 get 1 free or buy 2 get one free sale. They also have bag sales where a bag of goods is five dollars no matter what you have in the bag. I know other thrift stores will have 50% off sales and more. Keep your eyes open and you will find even better deals at the thrift stores. Thrift shopping is fun! The pursuit can be challenging at times, but the results are usually worth it. Just know, even with thrift shopping, you need to be mindful of your budget and not get crazy while shopping. Sometimes, people will buy whatever they want because it is a good deal, but they still overspend. What is your favorite thing to buy in the thrift store?